People have a choice of either burial or cremation. In certain cultures cremation is not favoured (or may be prohibited within the relevant faith belief). In other cultures the opposite may occur with cremation being the custom, for example, as in the Hindu tradition. It is a matter of personal choice. Future trends may see higher instances of cremation due to increasing limits on cemetery space within or convenient to population centres. 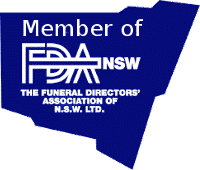 In Australia today the number of people choosing to be cremated are steadily increasing. Whilst there is some variance between states and territories, cremations now outnumber burials. Cremation funerals are much higher in city areas where crematory facilities are available. Rural and remote regions predominate in burials. It is a matter of personal choice.